Many artists shared the curiosity about nature, society, institutions, human relations, and the past that was fostered by the Enlightenment and the Industrial Revolution. They began to question inherited ideas and traditions, seeking instead a concrete and rational understanding of the world based on experience and facts. Conflicting ideas about the role of tradition and hierarchies in society and nature made the late 18th century an exciting and turbulent time. A variety of approaches to classical antiquity emerged during the final decades of the 18th century. The specific choice and treatment of classical subjects depended as much on the political climate in which an artist worked and on the requirements of patronage as it did on the artist’s skill, temperament, and training. Changing audiences, expectations, and experiences encouraged new approaches to representing history. Paintings of contemporary events became weapons of political propaganda and later, instruments of political critique and social reform. Artists often distorted the truth and utilized familiar formulas to convey desirable associations. Romanticism was an anti-establishment movement characterized by ambiguity, complexity, and uncertainty. Romantic artists privileged individualism over convention. They experimented with new subject matter, compositions, and techniques in order to discover visual languages that effectively communicated their personal ideas and experiences. Landscape painting rapidly evolved from compositions and subjects dictated by academic tradition to ones reflecting individual preferences or market demands. The classical landscape formula embodied a hierarchical world view consistent with the absolutist era of monarchs. The Sublime and Picturesque provided a transition to both Romanticism and Naturalism. Artists usually documented new peoples and places according to pre-existing conventions. Sometimes they were portrayed as unspoiled by civilization, other times as wild and in need of taming. Westerners projected their anxieties and fantasies onto the unfamilar, inventing concepts like the Noble Savage and the Exotic Orient. During the period 1815 to 1848, many artists turned their attention to subjects of interest to a rapidly growing market – the middle classes. Popular subjects included nostalgia for the past and fascination with the rapidly changing modern world. The emergence of Biedermeier, Golden Age, and Pre-Raphaelite art signalled a shift in artistic taste and catered to this growing shift in patronage from church and monarchs to the public and individuals. Photography encroached on territory occupied by drawing and painting because of its ability to capture the details of the visible world with mechanical precision. Some considered photography a mechanical process, while others considered photography a fine art. Increasing numbers of artists produced paintings, prints, and sculptures that depicted the horrifying living and working conditions of the increasingly numerous working classes. Images could be sentimental, descriptive, condescending, or ennobling depending on the artist’s attitude and the reaction (s)he sought to evoke. Such portrayal s attested to artists’ escalating interest in representing the appearance of their own time, which witnessed unprecedented change. Peasant paintings increased dramatically in the 19th century due partly to comprehensive land reforms and demographic shifts. Some artists portrayed the grittier aspects of peasant life in order to stimulate sympathy, while others reassured urban viewers that peasants still lived in symbiotic harmony with the land as they supposedly always had. Stressed out urbanites liked to envision peasants as stable links to an idealized, agrarian past. State-sponsored art academies were slow to change, and often changes were too little and came too late. At the same time, artistic prestige was measured by success at official art exhibitions. Depending on their interests, temperament, and financial situation, artists chose paths of conformity, rebellion or some sort of compromise. Impressionist art documented in a truthful and dispassionate manner the appearance of life and landscape in the late 19th century. Impressionist artists often selected motifs typical of their own corner of the world. Their paintings conveyed a heterogeneous range of ideas, and often revealed attitudes about social class, economic conditions, technology, and scientific discovery. Impressionist artists experiment to find visual languages singularly appropriate to their purposes, and evolved signature styles with which they were identified. Symbolist artists sought to express personal ideas and universal truths. They explored new technical and compositional strategies to accomplish this. Symbolist experimentation is the foundation of many 20th-century artistic movements. While united in their rejection of Naturalism and disillusionment with the contemporary world, some Symbolists were optimistic Idealists while others were pessimistic Decadents. Destabilization of traditional identities – collective and individual – inspired many to find new ways of defining their relation to the world. Artists operating outside the academic system formed groups with like-minded colleagues. Some focused on spiritual enlightenment while others wanted to recapture a holistic bond with nature. Related to this search for security and meaning was the urge to define national identities, a project in which artists played a key role. Using the tools of the ‘new’ art history (feminism, Marxism, social context, etc.) 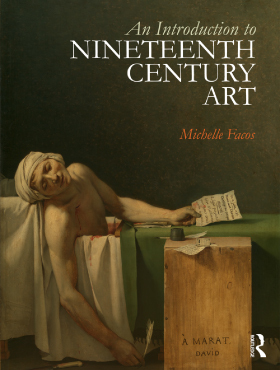 An Introduction to Nineteenth Century Art offers a richly textured, yet clear and logical introduction to nineteenth-century art and culture. The book provides readers with a basic historical framework of the period and the critical tools for interpreting and situating new and unfamiliar works of art. The book takes a thematic approach combined with overall chronology. Detailed discussions of individual works are always put in the context of the broader social picture, thus providing readers with a sense of art history as a controversial and alive arena of study. This dedicated supporting website provides helpful supplementary resources. Its goal is to enable readers to better understand connections among artists and art works and to better envision the world in which they lived and worked. These resources are ideal for classroom use or as an aid to independent study. The website will be regularly updated with new, relevant, and interesting material, so be sure to visit regularly! We welcome your feedback. You can contact the author, Michelle Facos, using the Comments & Suggestions link, below. Boime on Gauguin's Where do we come from?